Over the last month, as well as working on the FiveBySix Challenge, I have been finishing some new work which incorporates some of my nature prints. One of these works together with two of my nature print scarves (something a bit different) are included in the 'Reflections' group show at Jing Jo's Cafe/Gallery in Kangaroo Valley which opened last week and runs till 29 April. 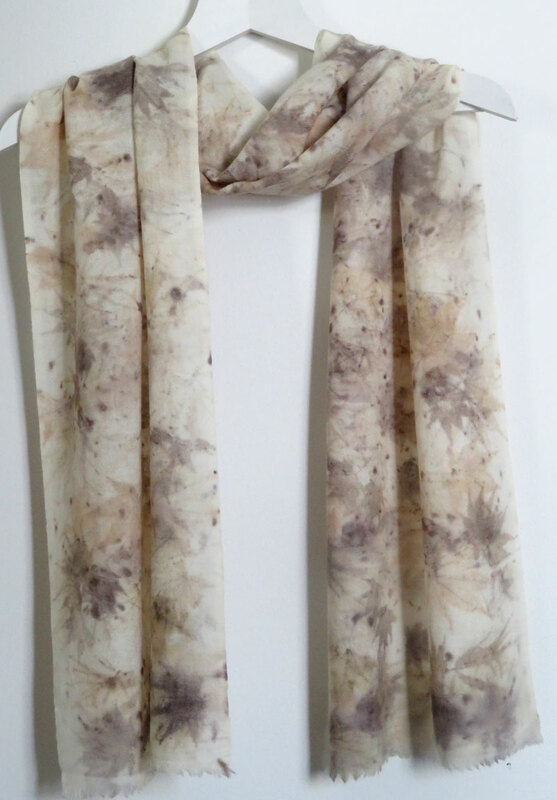 The scarves, are printed on a silk/wool mix and are lovely to wear, both light and warm!